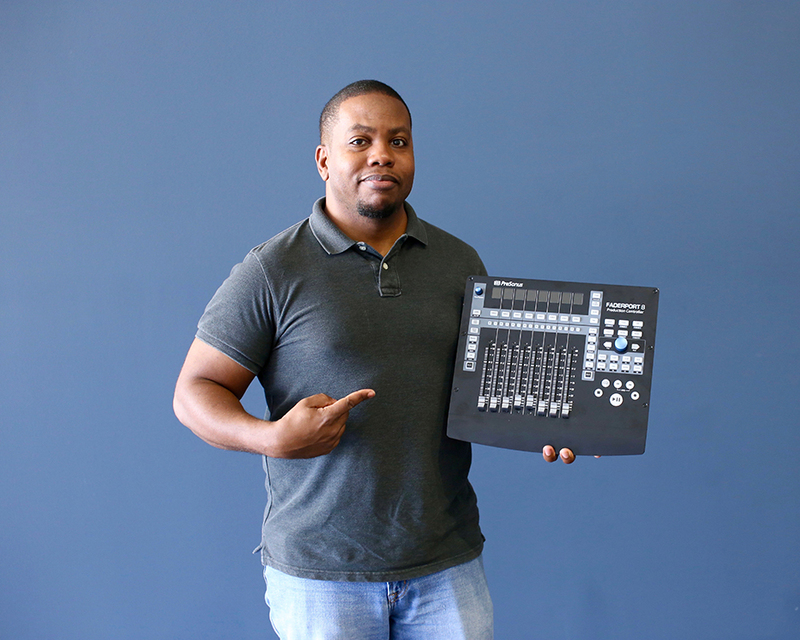 It’s #PreSonusFAMFriday with Dominic Bazile! Dominic “Tic Toc” Bazile has been with us for the better part of a decade, most of that time in the role of Quality Assurance Tester. That’s a fancy way of saying that not much gets past him; Dom finds bugs so you don’t have to. A man with the eyes of an eagle. It turns out that his ears are pretty good, too. Dom’s a producer/multi-instrumentalist who creates music for TV and film, and plays saxophone, flute, piano, bass, and guitar. This arguably puts him at the top of the list of the most diversely talented and in-demand musicians that call PreSonus home. Let’s get to know him better! How long have you worked for PreSonus? What’s your official job title? What’s your favorite thing about your job? Why did you choose to work here? Testing new products and having the ability to make them better for our customers! It’s not every day you realize a music manufacturer as big as Presonus is headquartered in your town. I wanted to be a part of the bigger picture in helping other’s fulfill their music ambitions. What was the first 8 track, cassette, CD or digital download you purchased? First cassette was probably Incognito’s Positivity. Currently it’s Robert Glasper Experiment, they blend different genre’s such as Jazz, R&B, Funk, and Hip Hop. Everyone has a side gig, what’s yours? I produce music for various artists, tv/film, as well as mix live bands on the weekends. First love is saxophone, but I also play flute, piano, bass, and guitar. Chicken Fried by Zac Brown Band, lol! What do you love about the FaderPort 8? I love the FaderPort 8 because of what it is, but also because of it’s unique integration with Studio One. What other PreSonus products do you have? I love my PreSonus R80 monitors, Studio 192, and of course Studio One 3! I use them along with the FaderPort 8 on a daily basis in my studio. Why did you choose this as your favorite? The FaderPort 8 is THE piece of gear that keeps my whole workflow moving forward. Without it, I’m stuck mousing around which slows up the process of recording. Tell us about a successful event you worked with PreSonus products. I use StudioLive mixer in church and it has never failed me! I mix all the sound live while recording every input into Capture for release after the church service. It’s a great workflow. Working on some Neo Soul/Jazz projects at the moment that I’m excited about. Got any tips for working with the mixer? Gain stage properly and everything else will fall into place. It’s been a pleasure working for a company like PreSonus the people are great and I love meeting our customers out in the field. You can follow me @tic2datoc on Instagram and Twitter. 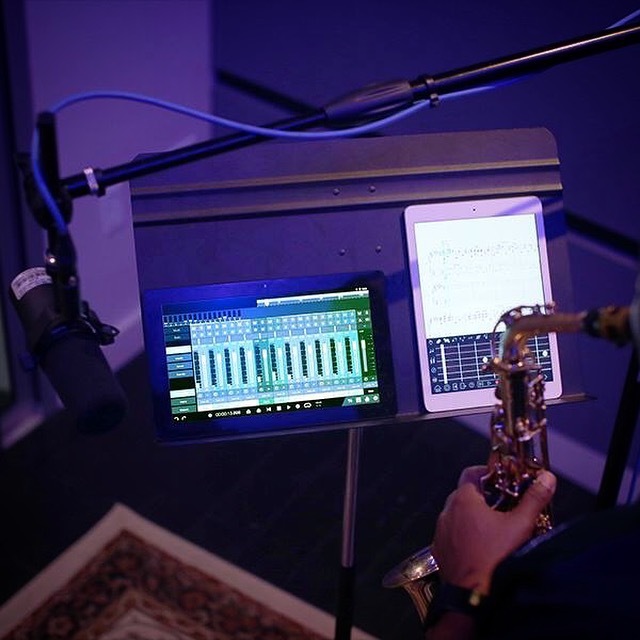 Posted in FamFriday | Comments Off on It’s #PreSonusFAMFriday with Dominic Bazile!